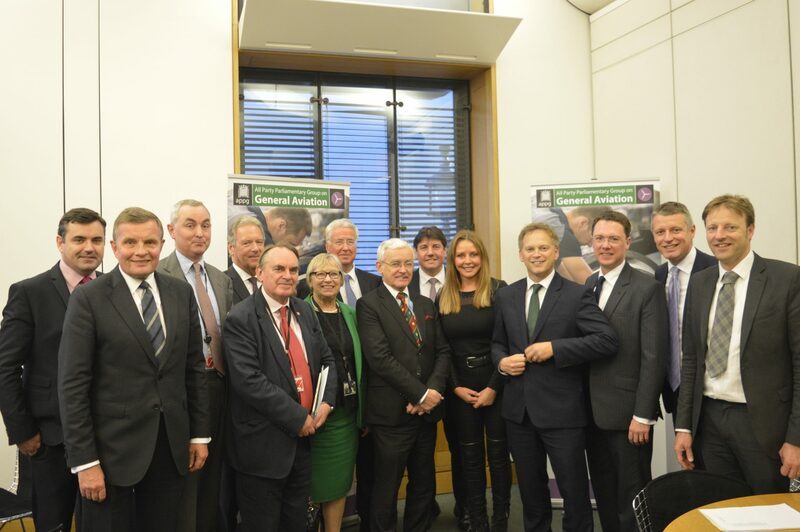 On Tuesday 23rd October, 24 members of the All Party Parliamentary Group on General Aviation (APPG-GA) joined Carol Vorderman to launch the ‘Science, Technology, Engineering and Mathematics (STEM) Jobs and Skills’ Working Group. The STEM jobs and skills Working Group will work to educate both Parliament and Government, carry out research and propose policy designed to further the aims of promoting high-tech STEM related aviation jobs throughout the UK. At the launch, Carol Vorderman, the APPG-GA’s Ambassador told MPs and Lords about her experience of getting her maths degree and becoming an engineer. Carol went onto explain how it was important to promote STEM jobs in the aviation sector. Joining Carol was Air Commodore Paul Godfrey, Head of Carrier Enabled Power Projection. Air Cmdr Godfrey spoke about how STEM was rapidly changing the environment the Armed Forces are working in, and how STEM education is not only essential for the continued operational success of the British Armed forces, but also the long term economic benefits for the UK economy. The All Party Parliamentary Group on General Aviation (APPG-GA) is the largest APPG in Parliament with 174 named members. With MPs and Lords from the five major parties, the APPG-GA focuses on promoting jobs and growth through General Aviation in Great Britain and Northern Ireland. For more information please visit the APPG-GA’s website: http://www.generalaviationappg.uk/ or follow @GA_APPG on twitter. For a copy of the STEM working groups terms of reference please click here. A PDF of the Press Release can be found here.